Sunday Carvery every Sunday 12 till 4pm. 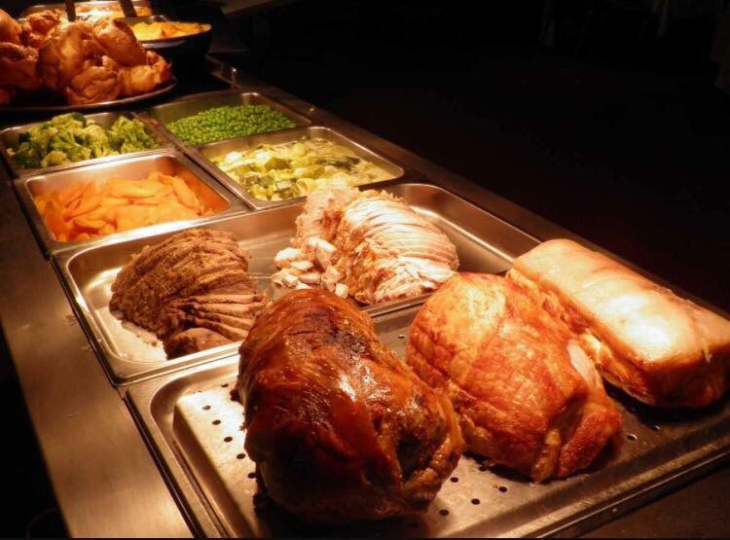 Carvery includes a selection of 4 meats, Beef, Pork, Gammon and Turkey, homemade Yorkshire pudding, stuffing, mashed and roast potatoes, a selection of locally grown vegetables and our popular cauliflower cheese. Served with gravy and a selection of accompanying sauces of your choice. We also serve our evening menu during Sunday lunchtimes.